ESATTO is the new generation robotic focuser for telescopes designed by PrimaLuceLab to fulfill the needs of the most demanding astrophotographer! 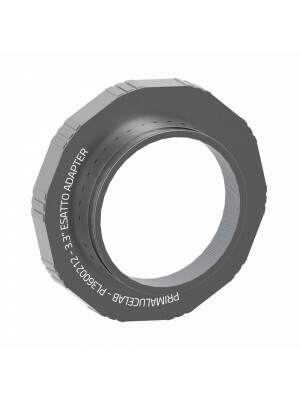 Now you can remove the stock focuser from your telescope and, thanks to a complete series of specifically designed adapters (available separately), you can easily connect ESATTO to many different telescopes! ESATTO can be controlled by any Windows computer by connecting it to a USB port, or you can control it via WiFi by using ESATTO app on your smartphone or tablet and use the Virtual HandPad! On the camera side, ESATTO has a T2 (M42x0,75) and M56x0,75 male threads with stop ring to connect and manually rotate your cameras as well as adapters for M48, M57 and 2" visual backs. The 2” version of the ESATTO 2" has a depth of 67mm, it has 15mm of focuser tube travel, a 5kg payload capacity and an incredible resolution of 0,04 micron per step (and this is why we call it ESATTO)! And you can also expand ESATTO features by adding the ARCO robotic camera rotator! ESATTO will be available starting in June 2019 - contact us to learn more! Wanting to change your stock focuser because it isn’t sturdy enough and lacks precision? Do you want to improve the internal focuser of your SCT telescope? ESATTO is the next generation robotic focuser for telescopes, specifically designed for astrophotography but, thanks to specific technologies developed by PrimaLuceLab, also works extremely well for visual use. Forget about external controllers and cumbersome hand pads - ESATTO is the ALL-IN-ONE focuser that has all the features you’ve dreamed of in a compact, sturdy focuser design. 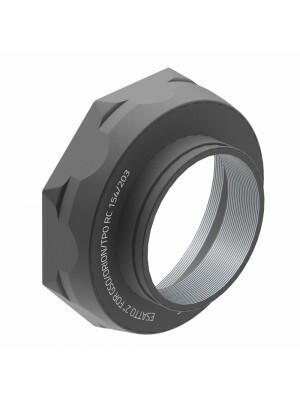 - Low profile design with only 67mm thickness. 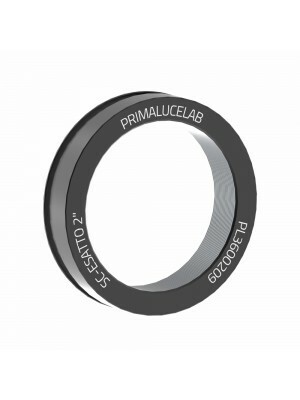 - 15mm focuser travel with an incredible resolution of 0.04 microns per step! - Special adapters to easily connect to many different telescopes. - Remotely controlled from EAGLE or any Windows computer, with dedicated control software or ASCOM drivers. - USB-C connector offering greater reliability and can be connected to any USB type port thanks to the included cable. - Remote control with WiFi from any smartphone, tablet or computer and ESATTO Virtual HandPad app also for visual use! - M42x0.75 and M56x0.75 threads with stop ring on the camera side to rotate and keep the camera in the optical axis. - ARCO port to easily connect the ARCO camera rotator to the ESATTO without the need for additional data or power cables. The new ESATTO robotic microfocuser was born from our extensive experience in astrophotography and engineered with the uncompromising quality of PrimaLuceLab. We wanted to create the best motorized focuser in the world, with all the latest technical features, resulting in a compact and beautiful design only 67mm of thick. The special Crayford design with 18 ball bearings allows ESATTO 2” to have an impressive 5 kgs (11 lb) payload capacity with the focusing smoothness that is required by modern astrophotography techniques (eg. autofocusing with V-curve). ESATTO 2” has a draw tube with 51mm of free aperture, and 15mm of travel (with graduated scale), offering to an incredible read resolution of 0.04 microns per step! You don’t need to worry on how to connect ESATTO to your telescope - You can choose among the many models and adapters available! You can easily connect ESATTO 2” to telescopes like Schmidt-Cassegrains, Aplanatic Schmidt-Cassegrains, refractors, Cassegrains, Newtonians, and more! ESATTO truly is the universal focuser and if you can’t find an adapter for your telescope, just contact us! ESATTO has been specifically designed for easy remote operation in order to let your telescope take advantage of all the latest technology in astrophotography. ESATTO comes with a sturdy USB-C port (which you can connect to any USB type port thanks to the cable included in the box) to connect to EAGLE or any Windows computer, and control it via the provided ESATTO software or ASCOM driver. 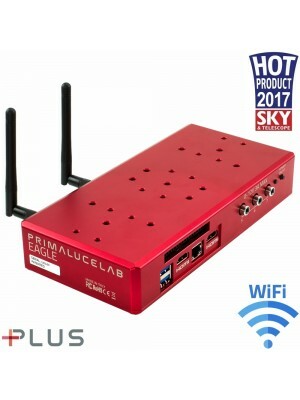 When connected to one of the USB3.0 ports on the EAGLE (or USB 3.0 ports of Windows computers capable of at least 1A), the ESATTO can be powered and controlled via the one cable! ESATTO has built-in WiFi remote control capability so you can control it from any smartphone, tablet or computer! Just connect your device to the WiFi network of ESATTO and start the app - You will be able to control the focuser by using the dedicated ESATTO Virtual HandPad app. Thanks to convenient preset settings, you can easily record and move the focuser to specific predetermined positions - Great for visual use! ESATTO includes a special port allowing ARCO, the robotic camera rotator, to be directly connected. With ARCO, you can remotely control the rotation angle of your camera in order to achieve perfect framing of the object you want to record. ESATTO and ARCO are designed to work together - You will need only one short interconnect between the two! M48x0.75 adapter for ESATTO 2"